The USS Conestoga (AT-54), as seen in San Diego, Calif, circa early 1921. 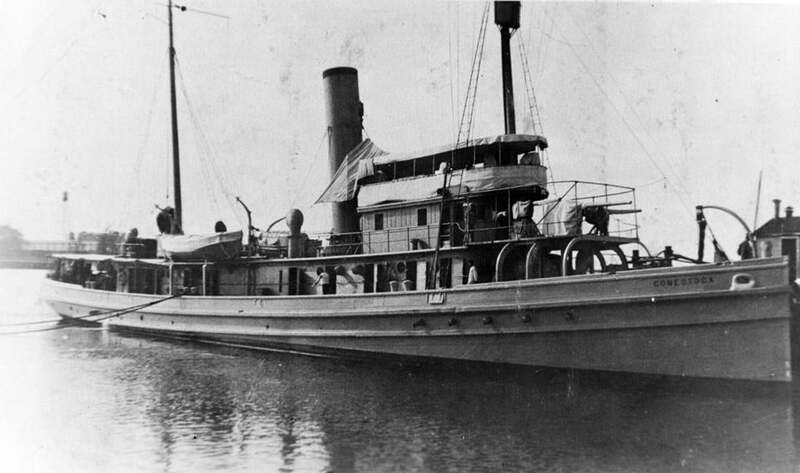 WASHINGTON — A Navy tugboat that sank nearly a century ago has been found by a team of government researchers off the San Francisco coast, officials announced Wednesday. The USS Conestoga departed San Francisco Bay for Pearl Harbor in March 1921. But the boat never made it to Hawaii, and her 56-man crew was declared lost. The boat was never found, despite a search that covered hundreds of thousands of square miles and was the biggest air and sea search of its time. Officials from the Navy and National Oceanic and Atmospheric Administration announced that the tug has been found about 30 miles off the coast, near the Farallon Islands. NOAA is in the midst of a multiyear effort to map roughly 300 shipwrecks off in the waters off San Francisco. The discovery process began in 2009 when a coastal survey documented a possible shipwreck near the islands. In October 2015, a joint NOAA and Navy mission confirmed the Conestoga’s identity. The 170-foot steel tugboat, one of the largest seagoing tugboats in the period, was launched in 1903. It was originally built to tow coal barges for the Philadelphia and Reading Railroad Company. The U.S. Navy purchased the Conestoga in September 1917 after the United States entered World War I. It carried out towing duties along the Atlantic coast and at the end of the war it was attached to Naval Base No. 13, Azores. After the war it was assigned to harbor tug duty at Norfolk, Virginia. It was reclassified USS Conestoga AT 54 in 1920 and after undergoing alterations, it was ordered to duty as a station ship in American Samoa, but disappeared on its way after departing San Francisco. When the Conestoga failed to arrive in Hawaii, the Navy launched a massive search, finding only a lifeboat with the letter ‘‘C’’ on its bow off Manzanillo, Mexico.